Transform your bathroom, kitchen and laundry with Neko’s superior designs and quality products. 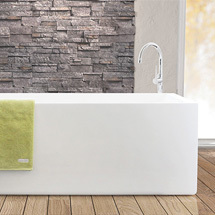 Be it bathtubs, bathroom accessories, mirror cabinets, tapware or kitchen sinks, Neko has what you need for your new home, or a bathroom or kitchen renovation. Brought to you in 2010 by Southern Innovations and Southern Plumbing Plus, Neko responds to demand for competitively priced products that combine the latest in interior design trends with the durability and performance required for your home.